Harry Grant was born in 1877 in Cambridge, Massachusetts. When Harry was very young, his father, a mining engineer, was killed in a mining accident in Colorado. As a result, Harry and his brother William were separated and raised by different families. Harry started his automotive career with the Stanley Brothers. When Locomobile, using Stanley patents, was formed in 1898, Grant moved there. By 1905 Grant joined ALCO’s automobile business with a position at their factory in Providence, Rhode Island. Two years later Grant became an ALCO salesman at a Boston dealership. Almost immediately he began pleading his case to his boss C. F. Whitney that ALCO should get into racing. Grant was a large man at 5 foot 11 inches and weighing a well-distributed 230 pounds. 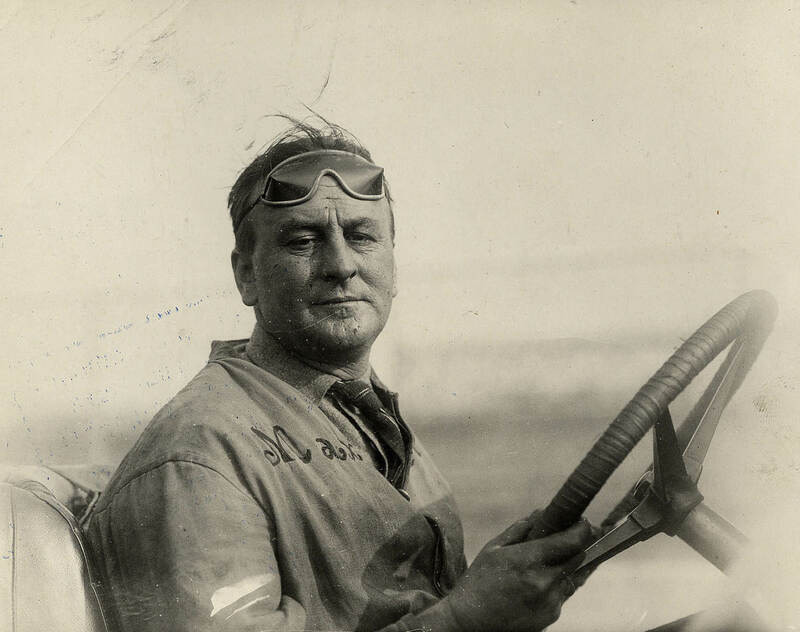 Harry Grant was 30 years old before he drove his first auto race in 1907 at the dirt horse track in Readville, Massachusetts. Entered in races of five, 20 and 50 miles, Grant won the shorter races and held the lead in the 50 miler until a tire let go in the 44th mile. Still, he managed a second place finish. In 1908 Grant was back at Readville, this time facing some of the best track racers in the business, including Barney Oldfield, Ralph DePalma, Louis Chevrolet, Bob Burman and George Robertson. Grant prevailed, walking away with first-place honors in three races. 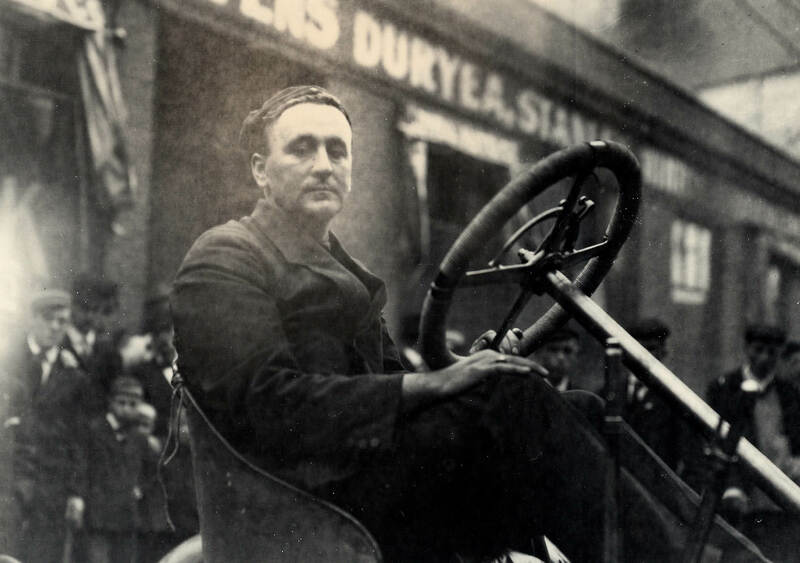 With more victories in 1908 Grant quickly earned his place among America’s elite drivers. A second place finish in the stock car road race at Lowell, Massachusetts and best time for gasoline cars at the Worcester, Massachusetts hill climb underscored his talent. 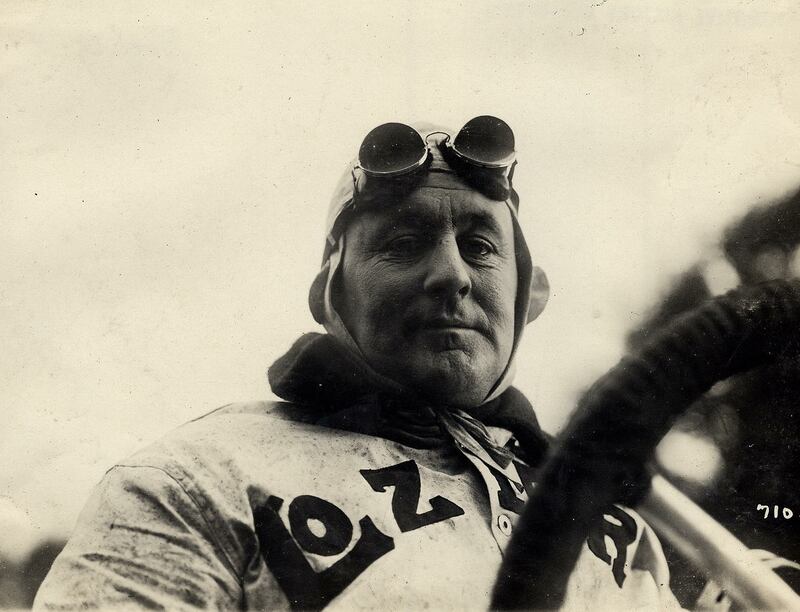 The man to beat in hill climbs in 1908 and 1909; he won all 20 races he entered. Grant's greatest victory was the 1909 Vanderbilt Cup Race in the Alco-6. Grant also had several other impressive runs that year. Just prior to the Vanderbilt Cup Race, Grant drove in the Lowell road race. George Robertson, regarded by many as the most talented and daring American driver at that time struggled to keep Grant in sight. Holding a steady lead of three minutes the ALCO driver had the race in hand until a tire blew. Flailing about on the rim, the shredded tire became entangled in the drive chain and broke it. At the Worcester Hill Climb, he was first again, reinforcing his reputation as America’s finest hill climb driver. The newly brick-paved Indianapolis Motor Speedway became another venue for Grant-ALCO accomplishment in 1910. 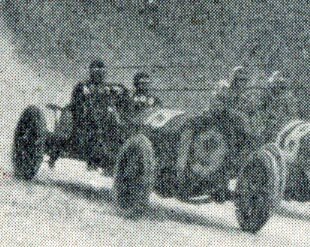 In a race meet over the July 4 weekend (10 months prior to the first Indy 500) the “Bête Noire” reigned supreme over the National Motor Vehicle team in two races of 10 and 20 miles. 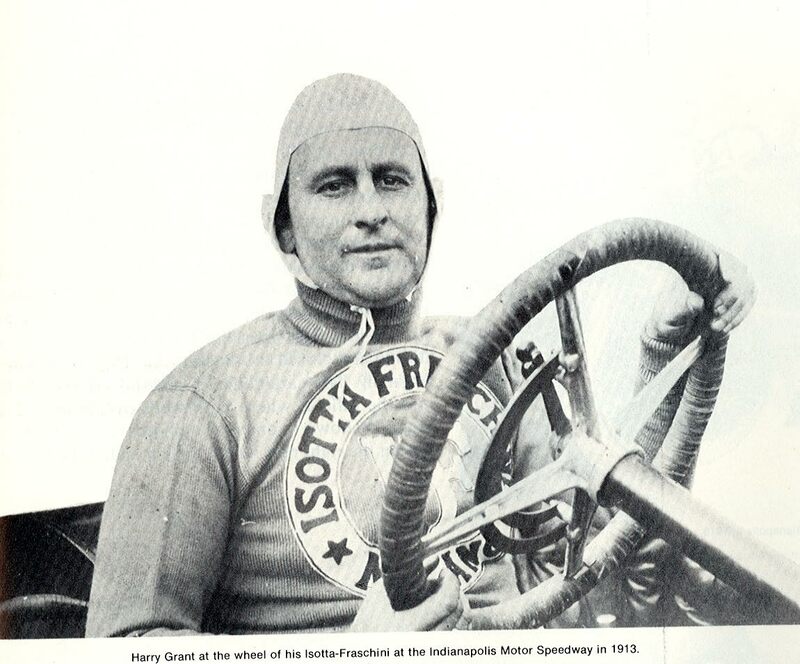 Grant’s second successive victory in the 1910 Vanderbilt Cup Race in October marked the high point of his career. Just weeks later on November 12th, Grant had Bête Noire in the heat of competition again, this time in the Grand Prize Race in Savannah. Stripped gears during lap 11 ended Grant’s day. He finished 12th, with only three competitors trailing him. An aging Bête Noire had its near swan song at the first Indianapolis 500 in May 1911. The tired car blew its engine when a bearing seized on lap 51, finishing 33rd in a field of 40. Grant had one last fling with the "Beast" at the 1911 Elgin road race, finishing a strong second, and then it disappeared from the racing scene. By September 1911, ALCO was finished with the sport as well. Harry Grant forged ahead with his racing career. 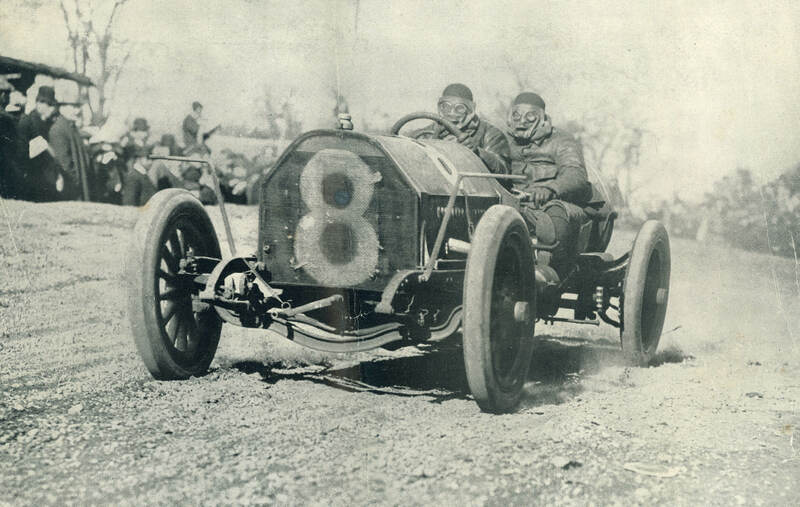 In November 1911, he raced in the first Vanderbilt Cup Race outside of Long Island, in Savannah. Now driving a Lozier, Grant turned in a credible performance with a fourth place finish. 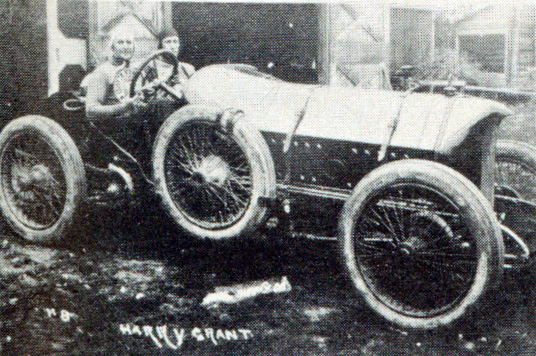 Harry Grant retired from racing in 1912, but did not stay out long. In the 1913 Elgin National Trophy Race, Grant finished fourth in an Isotta. 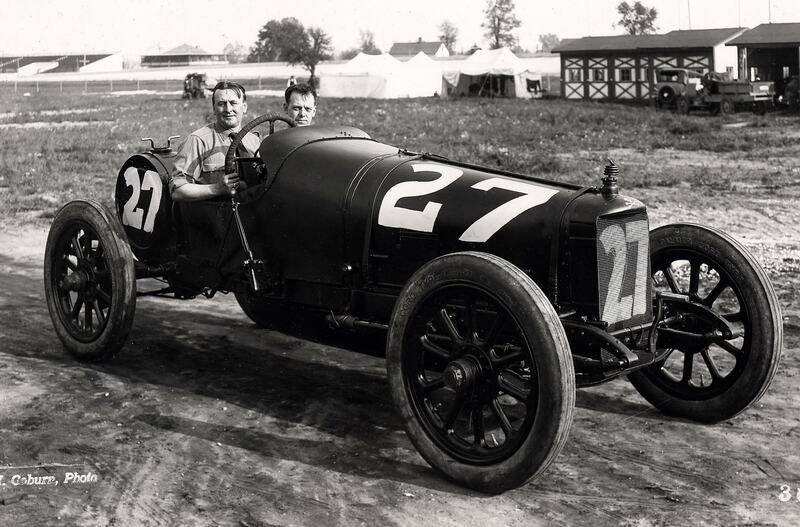 With the Indianapolis 500 becoming the most important race in America, Grant drove again in the classic in 1913, finishing 24th in an Isotta. 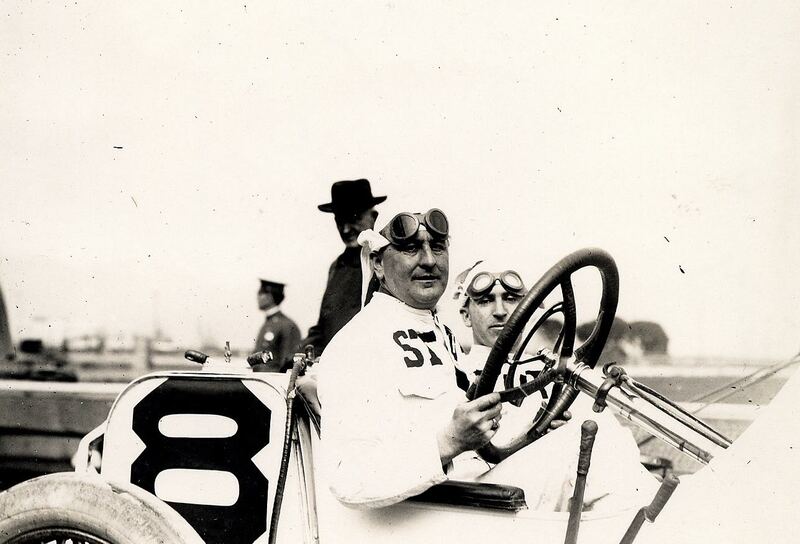 Grant returned to compete for two more Vanderbilt Cup Races in 1914 (Santa Monica) and 1915 (San Francisco). 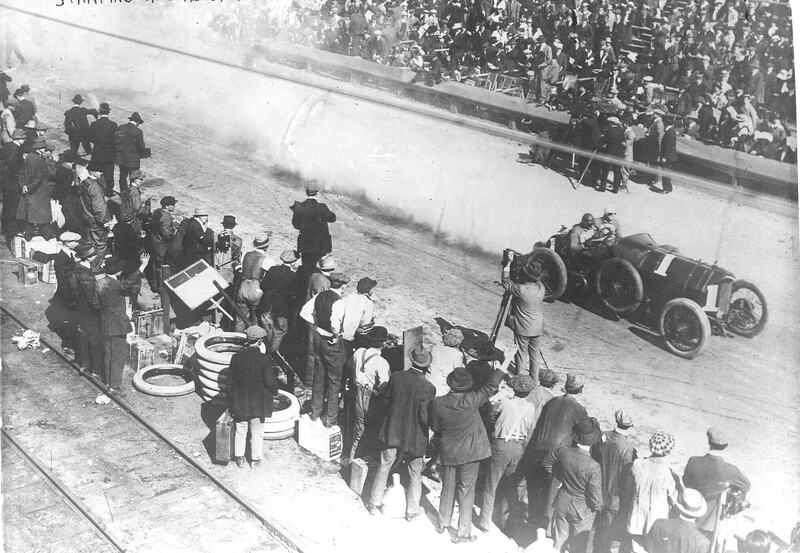 Driving the Isotta in the 1914 Vanderbilt Cup Race, the car broke a piston on the first lap, putting him last. 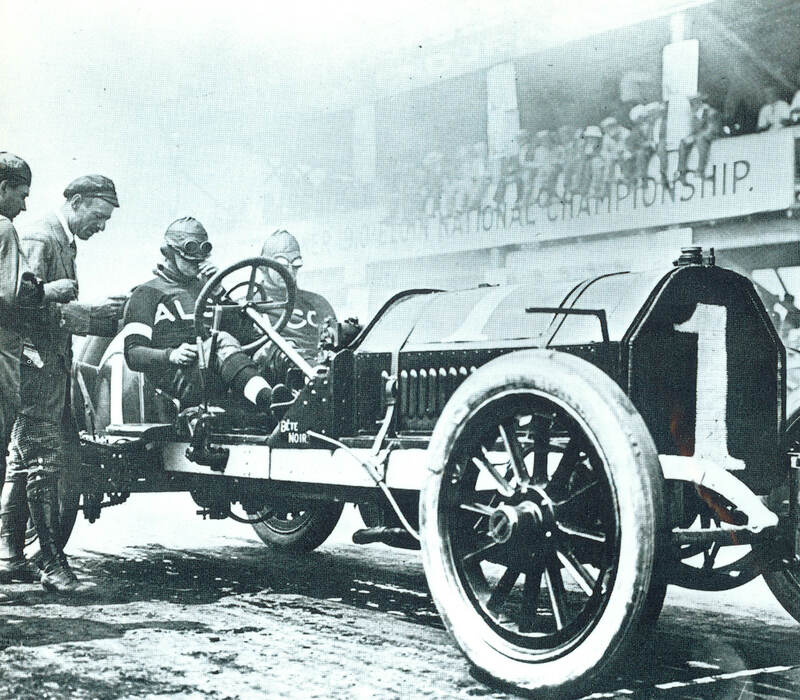 Stutz, an Indianapolis based company, provided a car for Grant’s final run for the country’s most famous trophy in the 1915 Vanderbilt Cup Race in San Francisco. He finished 17th in a field of 31 entries. During this period, giant high banked oval speedways made of wood planks sprouted up around the country. The smooth surface and the banking made for tremendous sustained speeds in excess of 100 miles per hour. It was also dangerous. This is where Harry Grant, the jovial, ever smiling burly driver met his end. The Astor Cup Race was scheduled for the board track at Sheepshead Bay, New York. 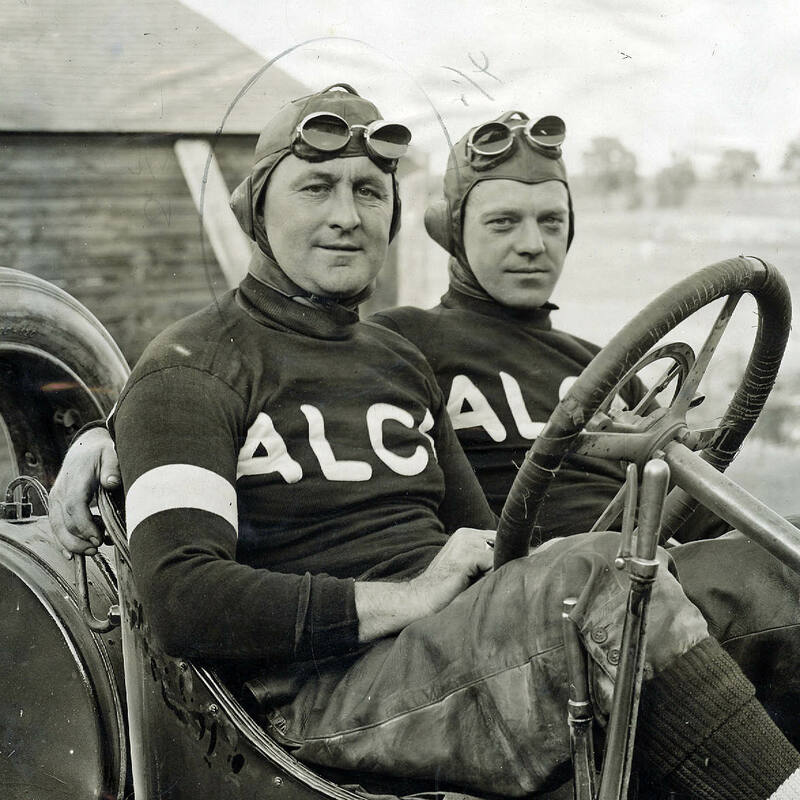 The Cup was donated by Vincent Astor, the son of John Jacob Astor IV, and drew some of the best cars and drivers in the country. 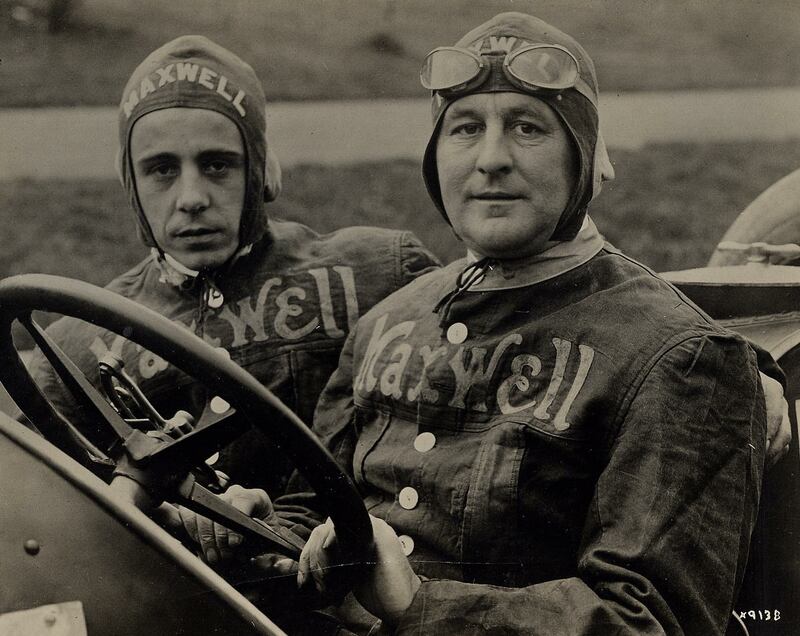 While practicing for the race on September 27, 1915, the Maxwell racer Grant was driving suddenly burst into flames at nearly 100 miles per hour. Grant slowed and steered the car to the bottom of banking. His riding mechanician, Red Stafford, bailed out to safety. Grant with his five-foot, eleven inch stocky frame, had difficulty extricating himself from behind the steering wheel. While Flames engulfed the car, Eddie Rickenbacker, Grant’s teammate and fellow driver Earl Cooper raced to his aid. The drivers and track workers simply could not help Grant fast enough. 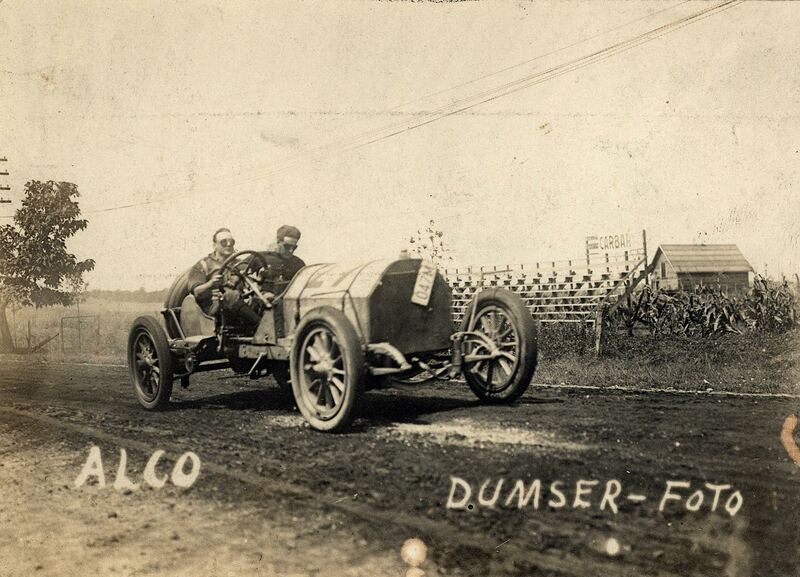 He survived the accident and was taken to Coney Island Hospital in Cooper’s Stutz racer. With dreadfully extensive burns from the waist down, he died there ten days after the accident on October 7, 1915. 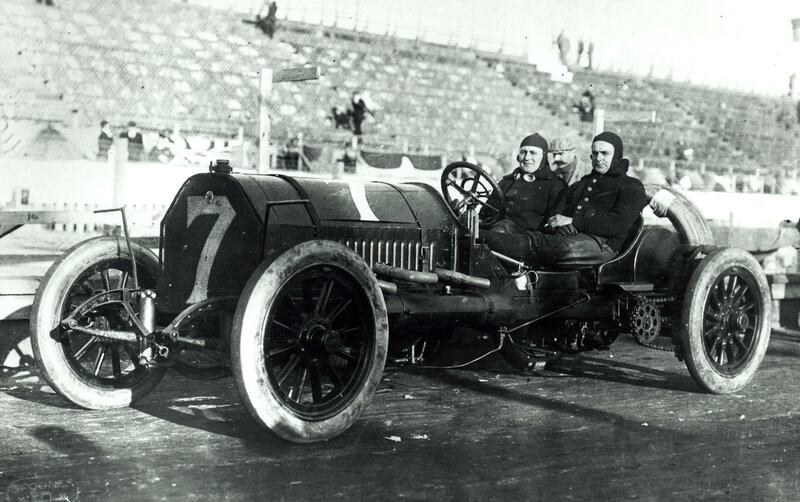 Harry Grant, the only driver to win two Long Island Vanderbilt Cup Races, was also the only man among the winners of the great Long Island races to lose his life as a result of a racing accident. Hi Howard. I enjoyed your article about Harry Grant. Sounds like a good man. In your readings about the September 27th accident, did you come across mention of the mechanics for the Maxwell team? I think my uncle, Clyde Latta, might have been among them. As is often the case, I didn’t find the names of the mechanics in the articles about the accident in the Indianapolis Star. I will try to track your uncle down. Unfortunately, the mechanicians were sometimes the forgotten people in the races. They served an important and dangerous function in making sure the car was operating properly but were often not named in the racing programs and newspapers. Howard: Thank you so much for the excellent Harry Grant profile. You have really made him come alive for us. I wish my Grandfather, my Father and my Uncle Harry (named after Harry Grant)could have had the opportunity to view your terrific website. Thanks again and be well. Tom Grant (Grandnephew of Harry Grant). Thanks again for the positive comment. I am pleased that I can share this information with your family. You should be very proud of Harry Grant’ achievements. my dad had a book about harry grant and the vanderbuilt cup race givin to him by his grandmother olive c lee, frank lee’s wife. i visited my dad one summer and came across the book, since it was his book and not mine, i decided to take pictures (cover to cover)of the book and try to locate one for myself and to pass on to my girls and my grand kids. my fathers house, which was frank and olives home, burnt down a few years back taking alot of the great photos of that era with it. could you point me in the right direction to find that book? Harry Grant was my grandfather and I really appreciated your article. He died when my mother was 12. His wife lived with my family until her death. She told me that Eddie Rickenbacker carried her out of the hospital when Harry died. She also told me I drove just like him. I took my love of speed to the skies and flew for the Navy and captain for Delta Airlines for 35 years. Capt. Norris Emery Grant Marston Ret. Thanks so much for information on Harry Grant and your family. Hi, thank you for all..
Can you tell me the name of the wife of Harry Grant? Good question. I will try to find out.